Today's giveaway prize will let you combine reading with crafting and upcycling - what's not to love? 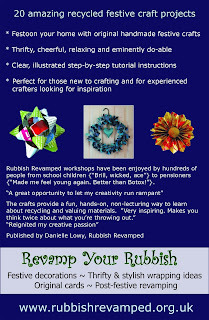 Find out more about the book and workshops on the Rubbish Revamped website. If you prefer your books sitting on a bookcase, you will be pleased to know you could win a "proper" copy of the book if you live in the UK. If you don't live in the UK, all is not lost! There are also two PDF versions of the book to be given away, which can be sent anywhere worldwide. You can download these to a PC and even print them out if that makes following the projects easier for you. To be in with a chance of winning, simply leave a comment (saying whether you prefer a hard copy of the book or the e-book version). If you missed the rest of this week's giveaways, you can see them all by scrolling down the posts on the home page. Thank you to everyone who has entered, shared and enjoyed these giveaways. And a very special big thank you to all the people and companies who have donated prizes. ooh that sounds like a great book. I'd love to win (would prefer the hard copy). I am constantly looking at things I either free cycle or take to charity shops and think 'I could do something with that'. Inspiration in the form of this book would help put thoughts into deeds. Hard back copy for me please. This looks a great book! I like to flip real pages of a book so a hard copy would be wonderful! I try to re-use things in my crafts - it is great when something already has a story before it becomes something else and has another! I've read lots about rubbish revamped recently, the book looks great! If I won I would prefer the hard copy. 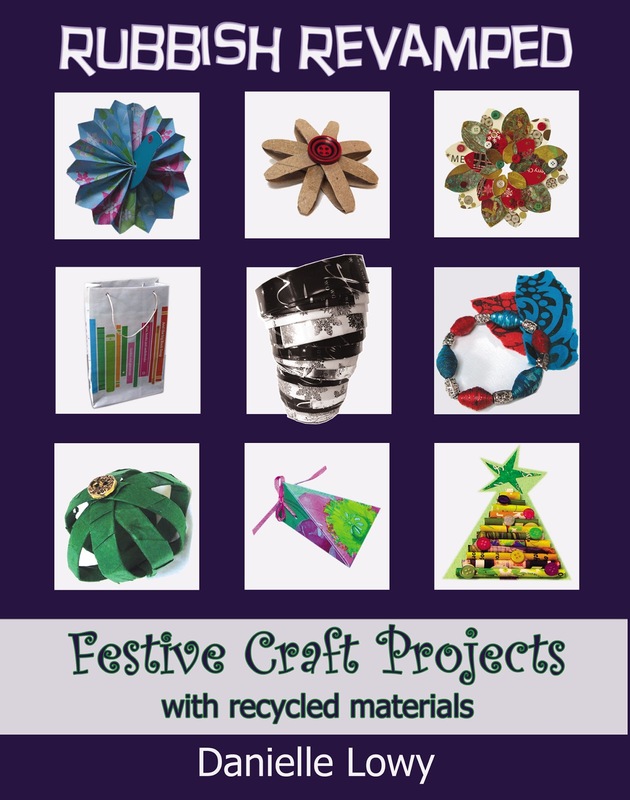 This book looks great and an ideal way to get kids involved in craft. If I win the competition, I'd like a hard copy please. Reusing is something I do a lot of, I never throw anything away before asking myself 'can I do anything with that'? A hard copy would be great on my shelf. 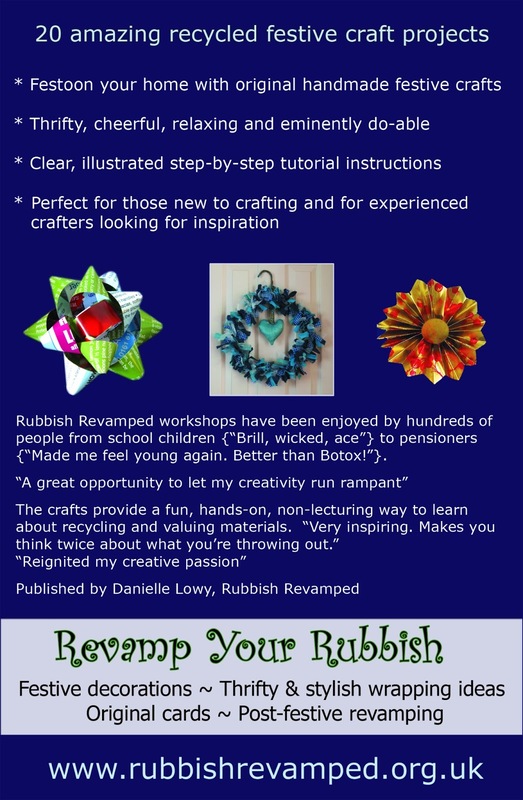 'Revamp your Rubbish'- fab idea - tidy up and do some crafting at the same time! I'd love to win a hard backed copy. I prefer the paper version (I have a Uk address) but would love to win either, this seem like a great book! I'd love to win a hard copy of this book. Always need new inspiration! I would love to receive a hard copy of this book it looks great fun. I love to pick up a book so I'd like to entered into the prize draw please. I would need the PDF. Would love to win this.